What can business leaders learn from an FBI hostage negotiator? Chris Voss is here to tell us. As a former FBI hostage and kidnapping negotiator, Voss has stories that could compete with the best crime and detective TV shows. Voss grew up in a small town in Iowa and was inspired by the cool demeanor of detectives in the police force who could handle negotiations with poise and calm. For 24 years, Voss worked for the Federal Bureau of Investigation leading international crisis and high-stakes negotiations. After his time at the Bureau, he went on to apply his expertise in negotiation to the business world. 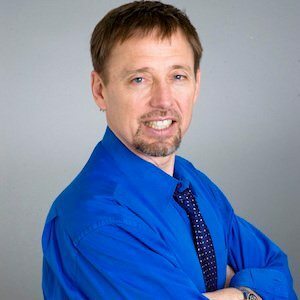 He teaches business negotiation in the MBA program at University of Southern California and Georgetown University and is the author of Never Split the Difference: Negotiating as If Your Life Depended On It. Voss talks to Voice of Value host Chad Quinn about how to uncover a black swan, why getting someone to say “that’s right” is the key to negotiation, and how to discover the decision maker and deal killer in business conversations.